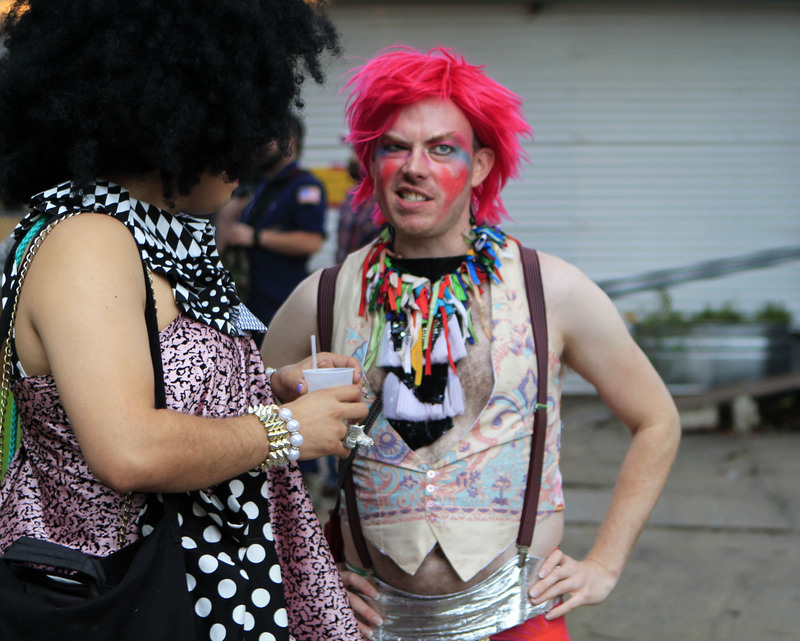 More than 100 LGBTQIA musicians, artists, drag performers and comedians from around the world took the stage for the inaugural Stargayzer Festival on Sept. 12-14 at Pine Street Station. 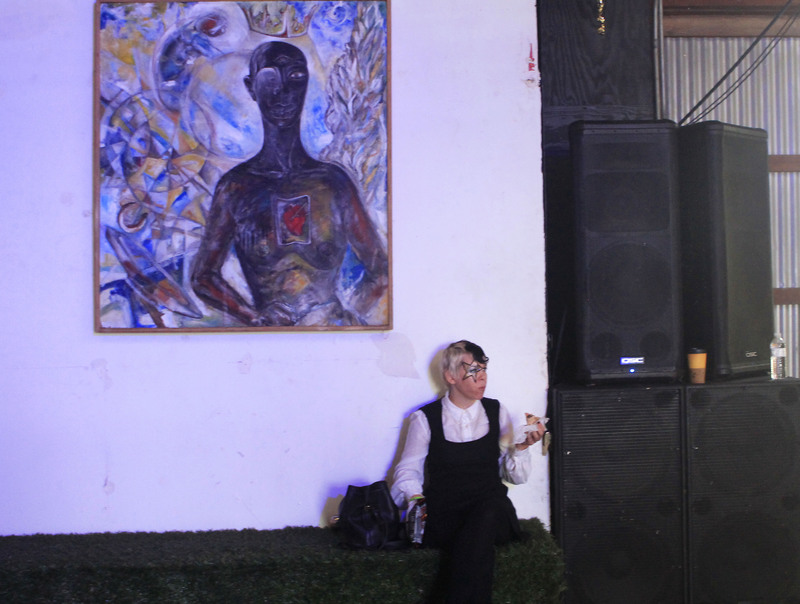 Despite the rainy weather, Austinites of all ages and orientations turned out to support the diverse range of talent within the queer community. Stargayzer has been years in the making, Hornsby said. Over the last five years, he was inspired by the diverse range of queer artists he met while touring with performer Christeene Vale. Scheduling Stargayzer for the weekend before Austin Pride Week wasn’t intentional, Hornsby said, but it was good timing. The weather, though, was less than ideal, as rain soaked the festival grounds all day Friday and part of Saturday. The festival atmosphere, however, was anything but gloomy. Austin-based comedic drag performer Rebecca Havemeyer embraced the unexpected weather. Tamara Hoover and Maggie Lea, co-owners of queer-friendly bar Cheer Up Charlie’s, said that Hornsby came to them with the idea for Stargayzer about six months ago. They jumped at the opportunity to see the Cheer Up community in a different element and location. 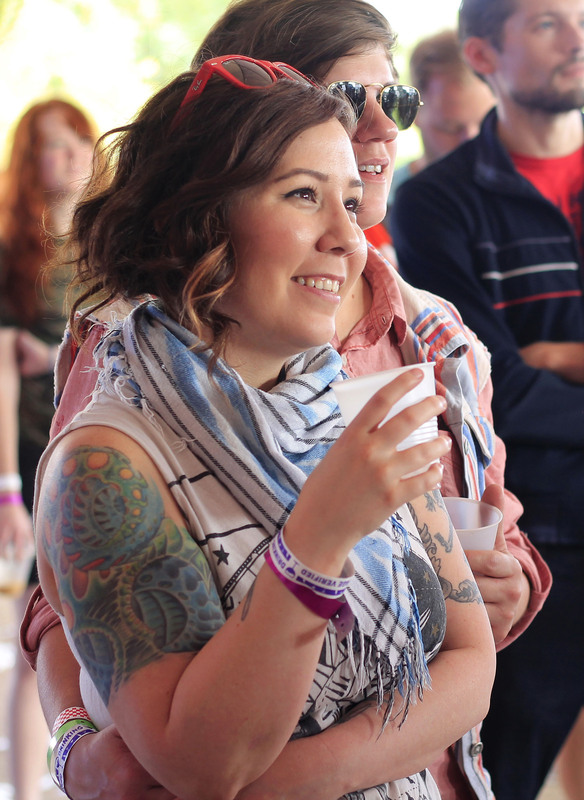 Lea agreed, adding that many festivalgoers didn’t just come for the headliners, but to support the lesser-known local bands and the Austin queer community as a whole. 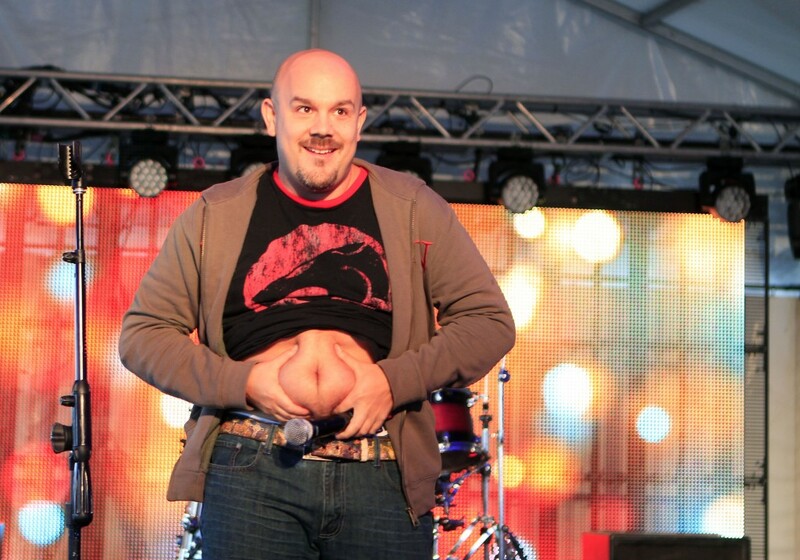 When Hornsby began booking for the festival, he started with the better-known artists. He ended up getting so many submissions that he had to start turning people down. Regina The Gentlelady and her band Light Fires traveled all the way from Toronto for the festival. 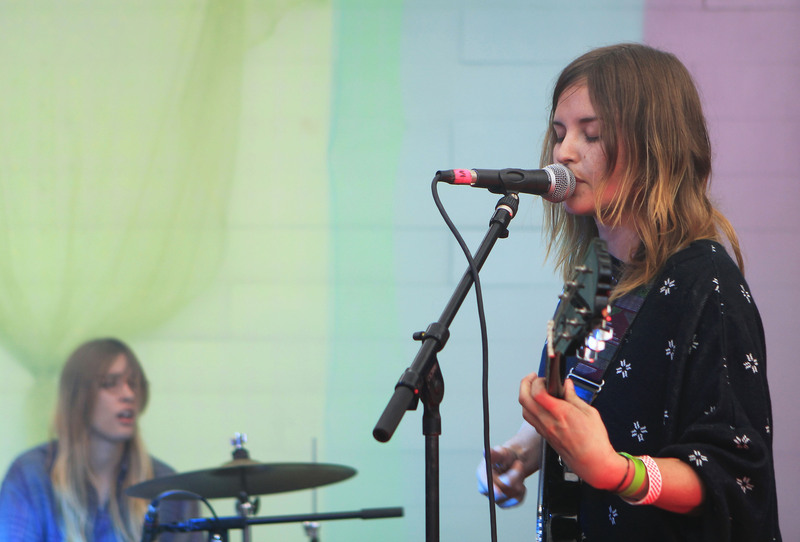 They played pride festivals before, but were attracted to Stargayzer because of the quality and diversity of the talent. Though it had its share of challenges, Hornsby hopes the first Stargayzer Festival will create a foundation for the event to happen again next year. 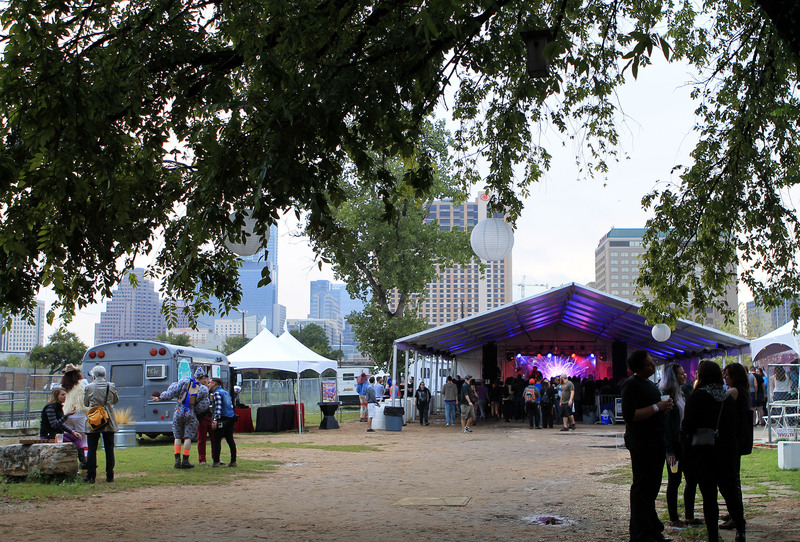 The Austin skyline frames the main stage at Stargayzer Festival at Pine Street Station. 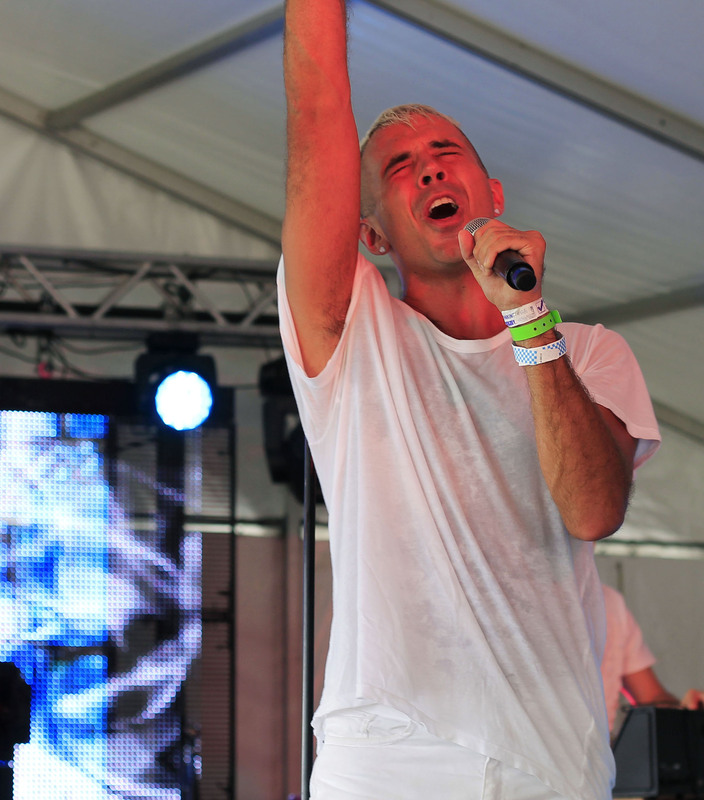 TC Hennes, lead singer of NYC band Avan Lava, performs on Sunday afternoon. 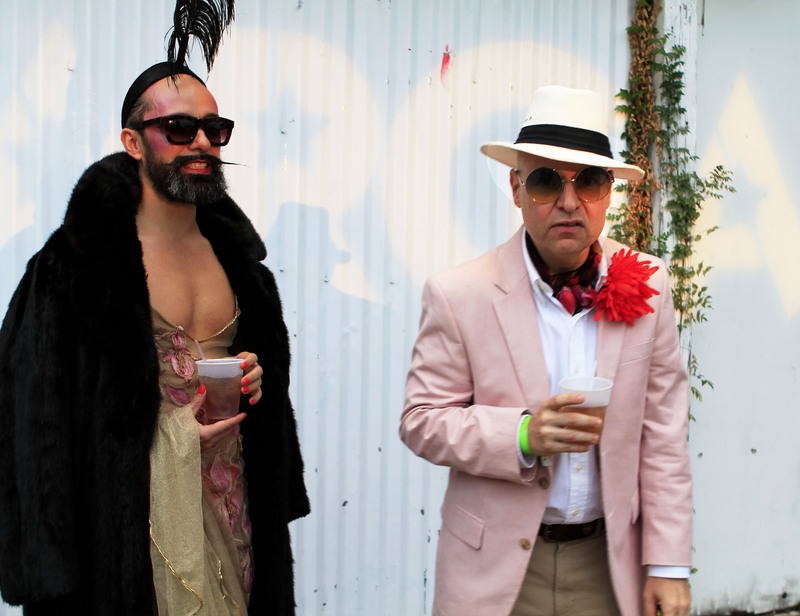 Drag queens add a splash of color to the otherwise muddy festival grounds. A festival performer eats lunch near the indoor stage. 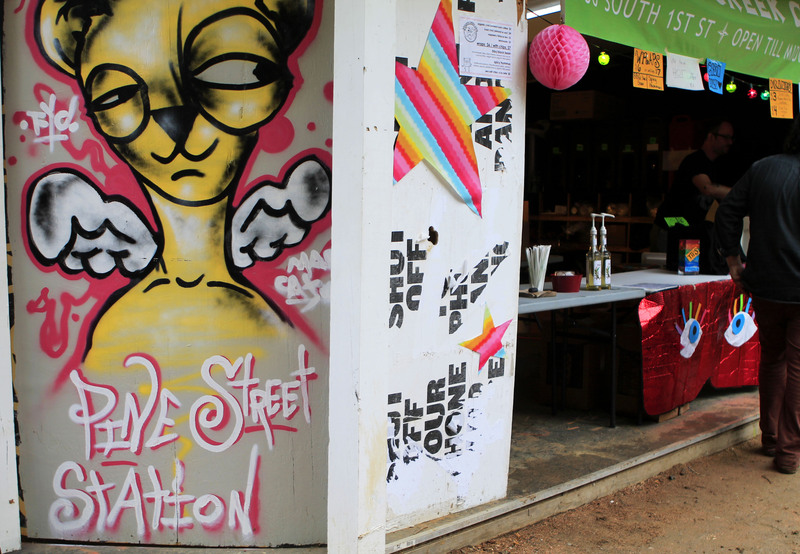 Colorful graffiti covers the venue walls. 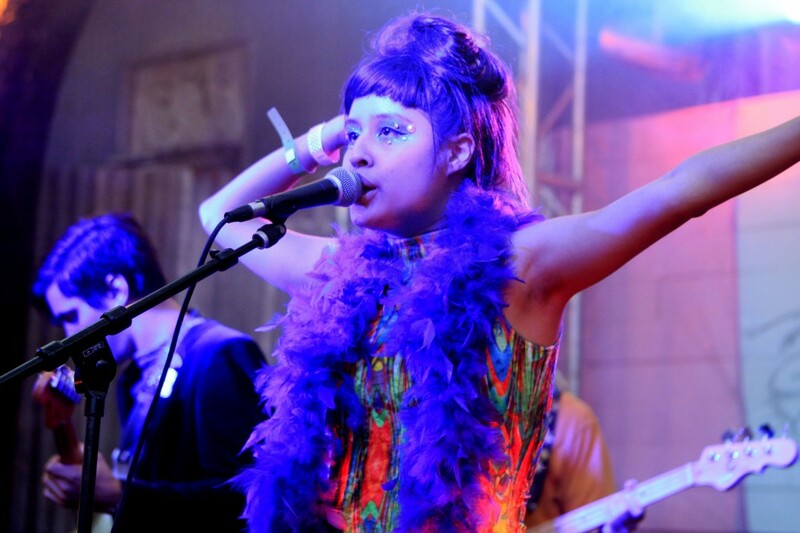 Mirror Travel vocalist Lauren Green performs in her hometown. London fashion designer and club owner Lyall Hakaraia has a drink with drag performer Mitzi Meyers. 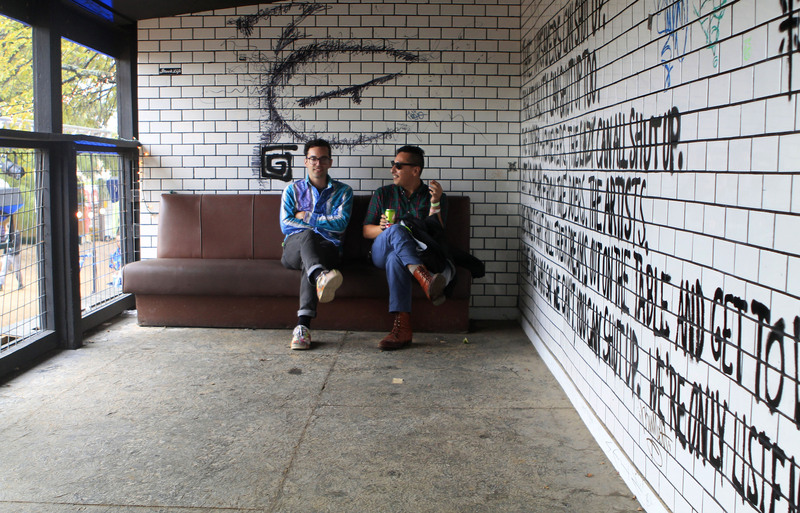 Brian Connolly and Michael Anthony Gonzales relax and converse on a couch at Pine Street Station. 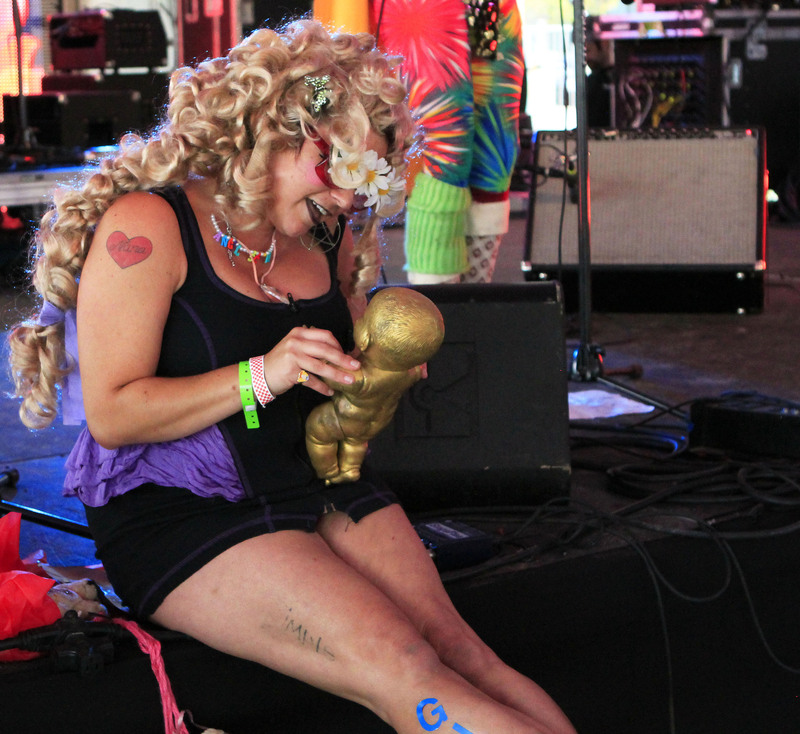 Khatti Q shares a moment with a golden baby during her set with Fantasy. 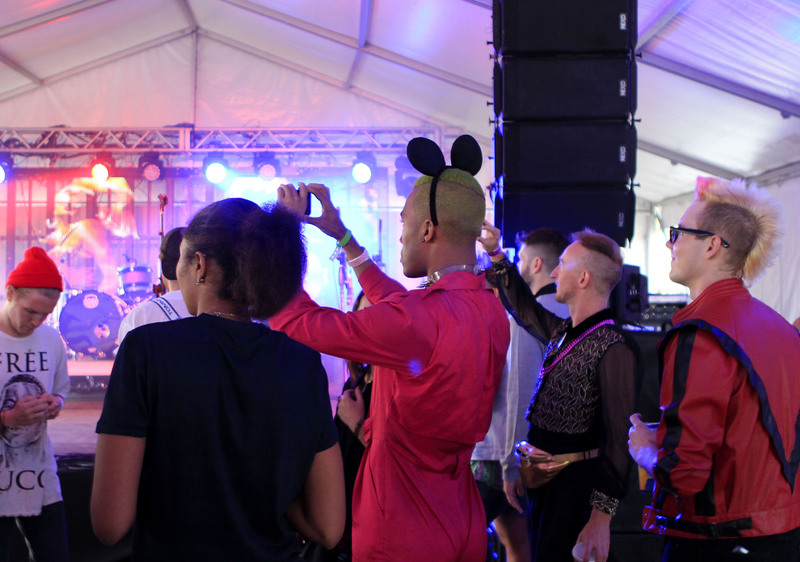 A couple in the crowd enjoys a performance at Stargayzer Festival. 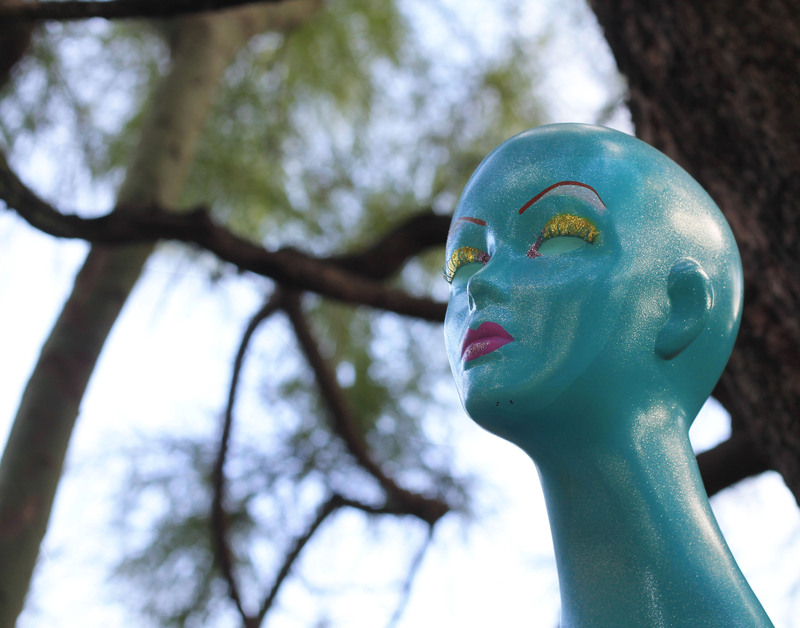 Art installations like this mannequin head are set up around the festival grounds. 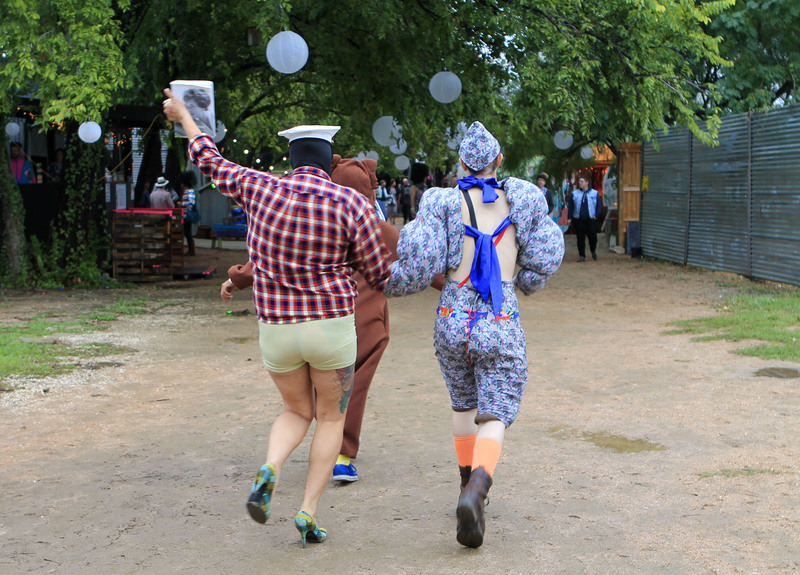 Festivalgoers head towards the main stage on Sunday. Local artist Fantasy unwinds after his set with Khatti Q. 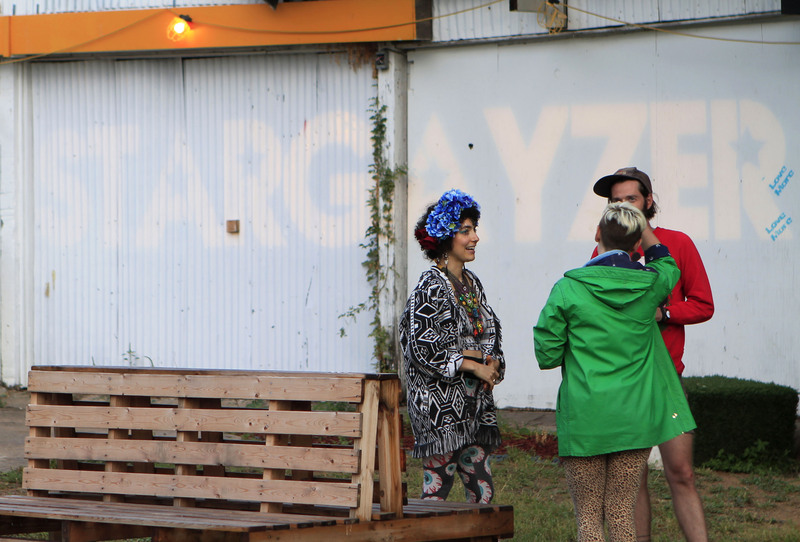 Audience members capture a moment at the Stargayzer main stage. 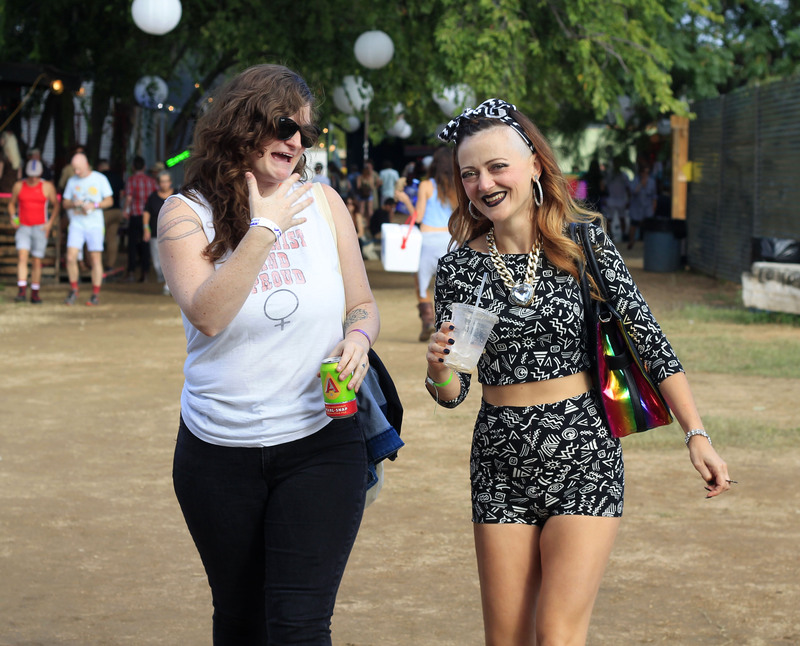 Festival vendor Corinne Loperfido, left, chats outside the pop-up shop.